Rapper/producer/director and label owner Tyler, The Creator released a two-part music video Monday night for his songs “Tamale” and “Answer”. Though it only mentions “Tamale” in the title, the second half of the video features “Answer” as well with that signature guitar riff that hooked fans this year with the release of his extremely successful album, WOLF. “Tamale” is a fun, horn-filled beat originally intended for Rihanna; contrastingly, “Answer” is a slower song, meant to emulate one of Tyler’s favorite groups, Tame Impala. 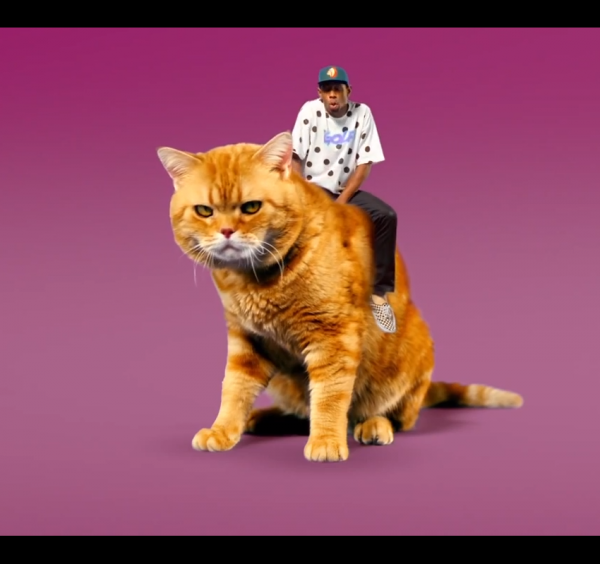 The first half of the video is a lot more funny and hype with Tyler in “white face” one second and riding giant cats the next, while the second half features a moodier Tyler smoking a cigarette (which he detests, especially with his asthma) and bitching to his absent father. Tyler’s friends are often featured in his videos, and Lucas Vercetti makes an appearance playing the riff to Answer. 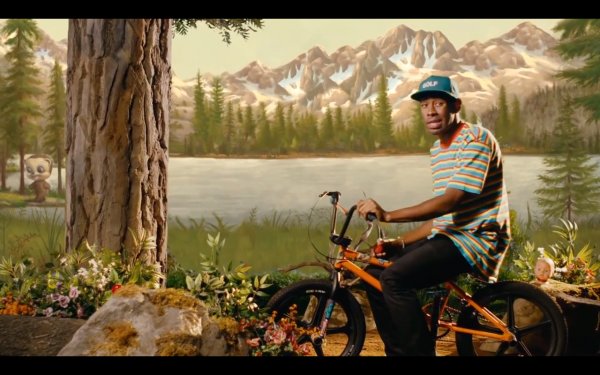 The direction is excellent, showing Tyler’s improvement on rapping, producing, AND directing all in one video. The Lumineers Release Music Video for New Single "Stubborn Love"